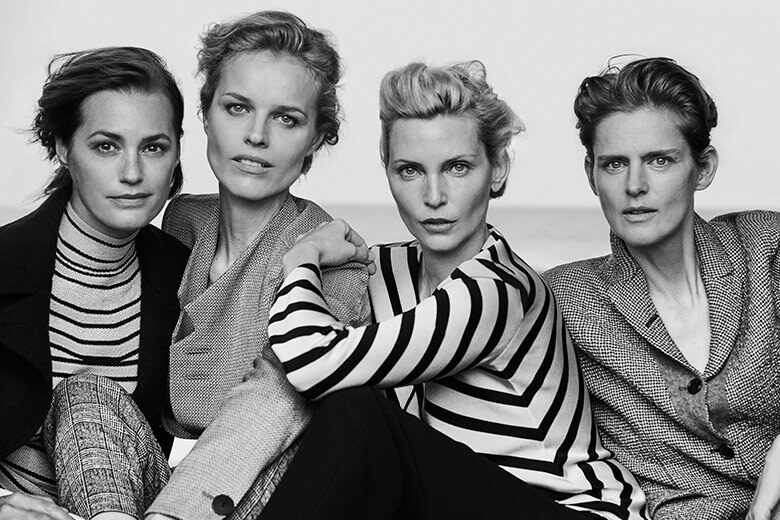 Peter Lindbergh shoots Stella Tennant, Eva Herzigova, Nadja Auermann & Yasmin Le Bon for Giorgio Armani New Normal Spring/Summer 2016 Campaign. Styled by George Cortina. Hair by Odile Gilbert. Make-up by Stephane Marais.